Our first perfume is here: The Big Bad Wolf. A natural oil perfume with 23% fragrance concentration. No alcohol! The perfume comes in a neat frosted brown glass dropper bottle with printed logo together with a simple but nicely designed brand label. Finally the product is packed in a vintage style fabric bag. How does it smell? Upon opening the bottle, the warm scent of orange and vanilla is what first meets your nostrils. When applied to your skin you can within minutes notice a lingering wooden scent coming through, mixing neatly with the warmth of vanilla and the freshness of orange. 30 minutes later the final scent starts settling in, a strong base of different woodsy fragrances combined with a now less apparent scent of orange and vanilla that forms a neat yet masculine fragrance to wear all day. A small part of ginger is added to make the other scents pop and give the combination a bit more sting throughout the neverending but discreetly changing fragrance landscape. News from Sisuman.com, let us introduce you to our first Perfume! 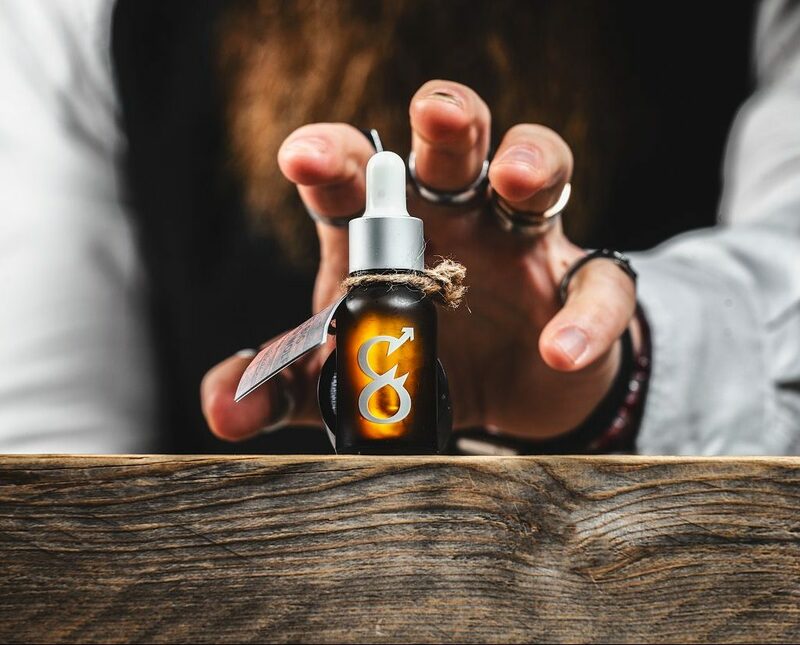 First scent out on our Perfume line is “The Big Bad Wolf”, a combination of natural and mostly organic essential oils that we have been working on for well over a year. Finding the exact right combination takes time, but now we are confident in one – The Big Bad Wolf. This perfume has a 23% concentration of pure fragrance (Yes it does, so no Eau de Toilette here) and does not contain any alcohol or other ingredients that might be harmful, only pure fragrance and carrier oils. 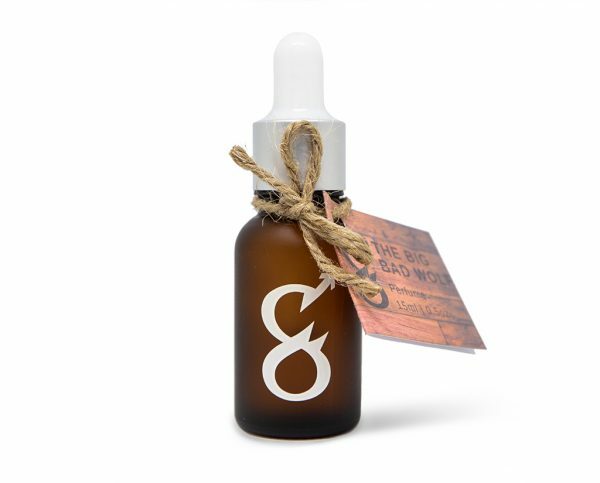 Our handmade natural perfume comes in a neat frosted brown glass dropper bottle with printed logo together with a simple but nicely designed brand label. Finally the product is packed in a vintage style fabric bag with the typical “S” logo that you now associate with our brand. 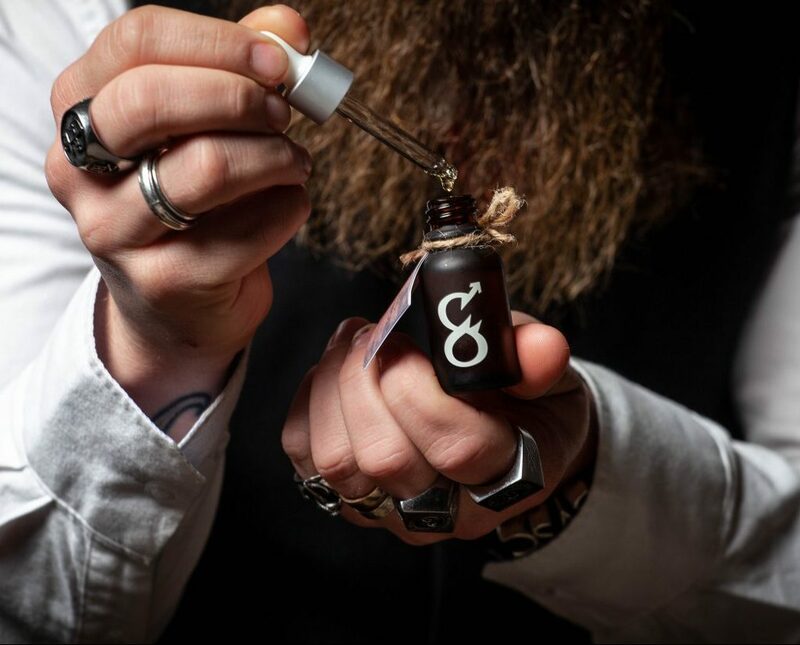 A completely natural perfume as ours keeps its scent as long as a perfume should, but without being overwhelming as perfumes with alcohol can easily become. The perfumes mixes well with your own scent when 1-2 drops are applied to the pulse point(s): Inside of wrists, neck or behind ears for example. Spread it out but do not rub and let the scent develop for your own and others’ pleasure. 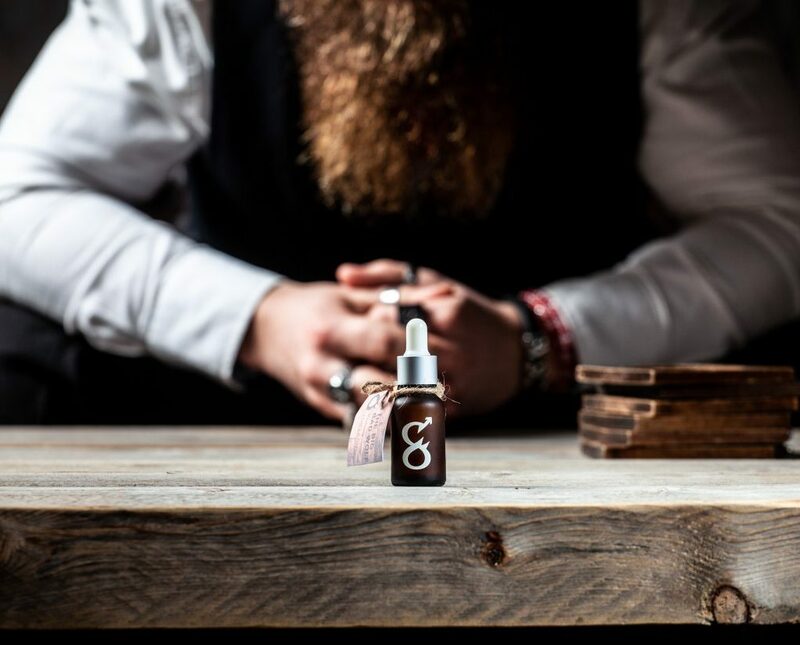 Buying a perfume that suits you is not the easiest without smelling it first, so this is how we would describe The Big Bad Wolf: Upon opening the bottle, the warm scent of orange and vanilla is what first meets your nostrils. When applied to your skin you can within minutes notice a lingering wooden scent coming through, mixing neatly with the warmth of vanilla and the freshness of orange. 30 minutes later the final scent starts settling in, a strong base of different woodsy fragrances combined with a now less apparent scent of orange and vanilla that forms a neat yet masculine fragrance to wear all day. A small part of ginger is added to make the other scents pop and give the combination a bit more sting throughout the neverending but discreetly changing fragrance landscape. Enjoy! Natural, masculine wooden scent. I feel like a fresh and clean lumberjack! Oil based product is a big plus since it lasts much longer. All in all an excellent natural perfume!